Arunachal Pradesh chief minister Pema Khandu on Tuesday paid rich tributes to the martyrs of the Indian armed forces, who sacrificed their lives in the service of the country and countrymen. “No one deserves the title of a ‘hero’ more than a soldier. 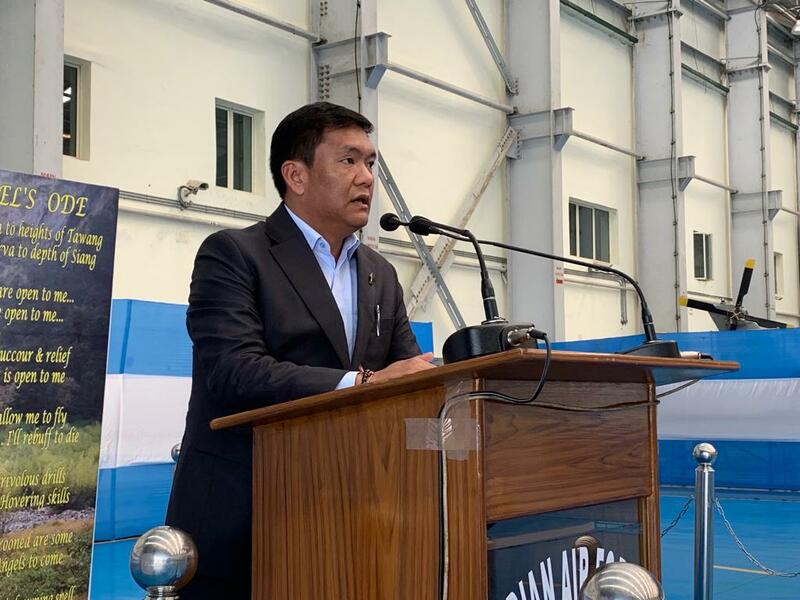 The brave men and women in the Indian Army, Indian Air Force and Indian Navy stay away from their families, miss every significant thing in their lives and give the ultimate sacrifice so that we can be with our loved ones and sleep peacefully at night,” said Khandu while addressing the ranks and files of Indian Air Force (IAF) officers in Tezpur of Assam’s Sonitpur district. 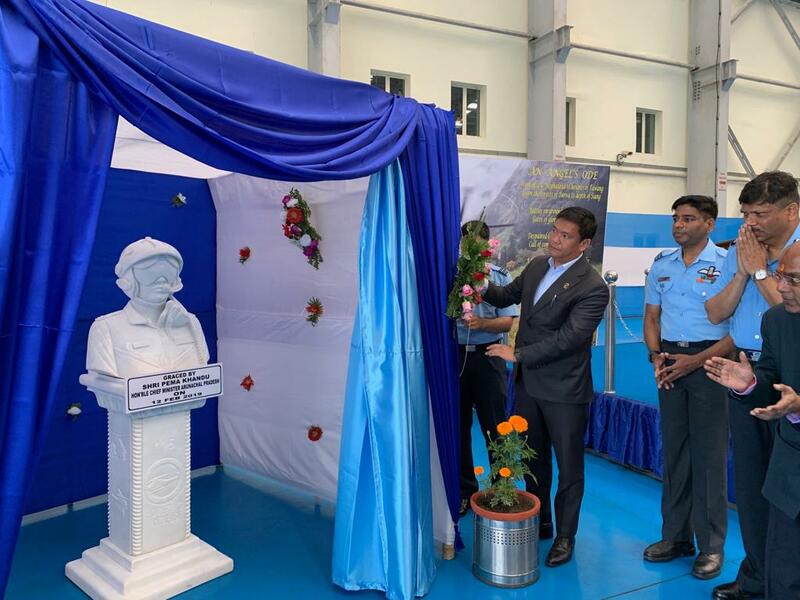 Khandu unveiled the bust of eternal air crew installed at the Airforce Station- Tezpur, who sacrificed their lives when the IAF chopper which was on rescue operation, met with an accident killing all onboard near Sagalee in Arunachal Pradesh in the year 2017. “The true sons of the soil were never deterred by the inclement weather that came their way. They airlifted hundreds of stranded people of our State to safer locations before the tragedy struck like a bolt from nowhere. The survivors who were airlifted by these heroes are still in shock as they couldn’t even thank their saviors for their vallant services,” Khandu said. Khandu informed that, as a mark of respect to the brave hearts, who sacrificed their lives in the line of duty for the country, Arunachal Pradesh government gave Rs 50 lakh each to next of kin as ex-gratia relief. He said the State government had substantially enhanced the rate of ex-gratia payment to central armed forces and central para-military forces operating in Arunachal Pradesh as a mark of respect and gratitude to them for sacrificing everything in service of the nation.